Jay Laze, owner of All Around Pizzas and Deli, is offering customers a unique discount at his Virginia Beach shop: Bring your gun in and get a 15 percent discount on your order. Don't have your guns blazing, so to speak? Not to worry, the offer extends to those who can flash their concealed weapons permit. According to Laze, it's a limited time offer but since the response has been so "overwhelming," he may make it permanent. According to Fox News, Laze says 80 percent of his customers have brought guns into the pizza shop since he introduced the deal -- one even came in with an AK-47. 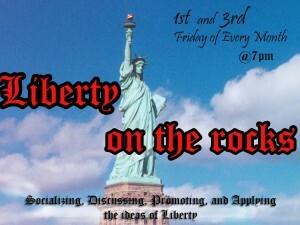 Other offers from the pizza shop include a twice-monthly meeting called "Liberty on the Rocks" where customers are encouraged to come, socialize, discuss, promote and "apply" the "ideas of liberty." Alcohol consumption, pizza and firearms. What could possibly go wrong?